Roy Eugene Cottle, Sr. departed his earthly home for his home in heaven on Friday, February 1, 2019 while at New Hanover Regional Medical Center in Wilmington, NC. He was born on March 20, 1936 in Duplin County to the late Norman and Phyllis Rogers Cottle and was also predeceased by a brother--Harold Cottle. Surviving to cherish his memory are his wife of sixty three years--Ann Southerland Cottle; children--Roy E. Cottle. Jr. and wife Lisa of Penderlea, Teresa C. Hurst and husband Brian of Raleigh, and Neil G. Cottle of Wilmington; sisters--Marcelle McGowen and husband Robert of Wallace and Joan Sluder and husband George of Penderlea; sister-in-law--Jean Byrd Cottle of Wallace; grandchildren--Ashley Marie Caldwell and husband David of Zebulon, Philip Woodcock and wife Madelon of Ashville, Mindy Greer of Wilmington, Keri Powell and husband Jason of Charleston, SC, Joshua Greer of Burgaw, and Brandon Greer of Willard; great grandchildren--David Jesse Caldwell, Dimas Zunan, David Zunan, Nevaeh Greer, Geo Greer, Knox Powell, Emmett Powell, Paxton Wenzel. Mr. Cottle worked in the textile industry for most of his working career. 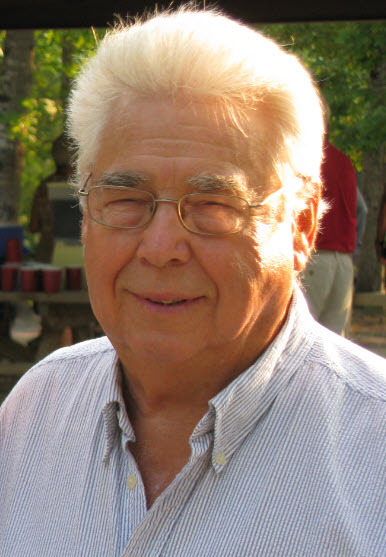 As a young boy, he did odd jobs at the construction site of the J. P. Stevens plant in Wallace and later worked there as an adult in many different supervisory positions until retirement. In his high school days in Wallace he was a star on the football team and loved attending the football games at Wallace Rose Hill High School. While still in high school, he joined the Wallace National Guard Unit and served his country for nine years. He enjoyed fishing, trains, and Sudoku. More importantly he loved the Lord and served him as an active member of Potts Memorial Presbyterian Church, serving at various times as Elder, Deacon, Sunday School teacher, youth leader, and Area Wide Presbyterian Men. He willingly opened his home to kids in need and supported multiple children through Christian Children's Fund. His second greatest love was his treasured wife, Ann. She was the love of his life and he was hers. He loved being surrounded by his family whom he loved dearly and who loved him back with all their hearts. He was a good and faithful servant, husband, father, grandfather, great grandfather, and so much more to so many. He will live on through the lives of those blessed to have known him and been a part of his life. The family will receive friends on Tuesday, February 5, 2019 at 1:00 pm at Potts Presbyterian Church in Penderlea. A service to celebrate his life will be conducted at the church at 2:00 pm by Dr. Bill Goodnight. Interment will be in Potts Presbyterian Church Cemetery following the service. At other times the family will receive friends at the residence in Penderlea. In lieu of flowers family asks that donations be made to the Potts Presbyterian Church in memory of Mr. Cottle.